There are two moments in the year when I like to take stock and think things through. One is at the beginning of September – old school habits die hard – and the other is on January first. On that day I like to sit with my tarot deck and get an overview of the year to come. I think about the year that has just passed as well. For the past two years I have had a weekly creative project (V’s 52 Portraits and V’s 52 Pick-up). I have loved them both so much. But this year I want to try something new, a daily habit. Mind you, I am creative daily already. But this would be a daily documenting project just like Julia did last year. I have so enjoyed her foray into daily documenting that I am hopping on her bandwagon. At first, I wanted to get a special Moleskine for this, but then I thought about how I have so many notebooks that are just waiting to be filled that I decided to use two of them. They were fun and inspiring because they are filled with different types of paper. But then I went to Australia and found this daily planner at Typo. And it changed my plans completely. 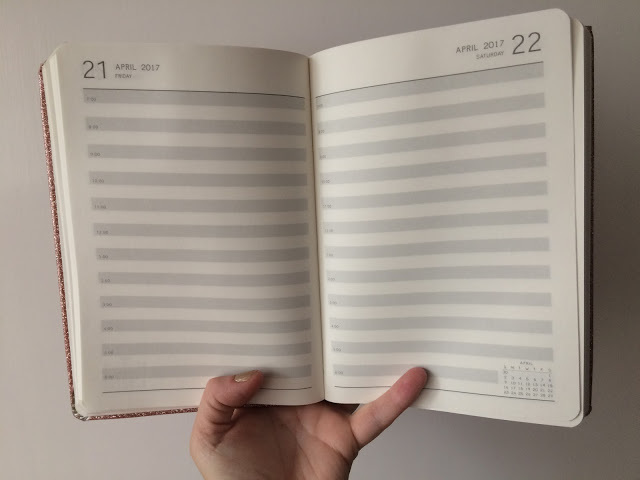 The other notebooks were not planners or diaries so there was no date on the pages. Of course I had planned to use a date stamps (even a time one!) and also some days of the weeks stamps to bring it together. But I kind of liked the idea of some printed elements being on the page already. 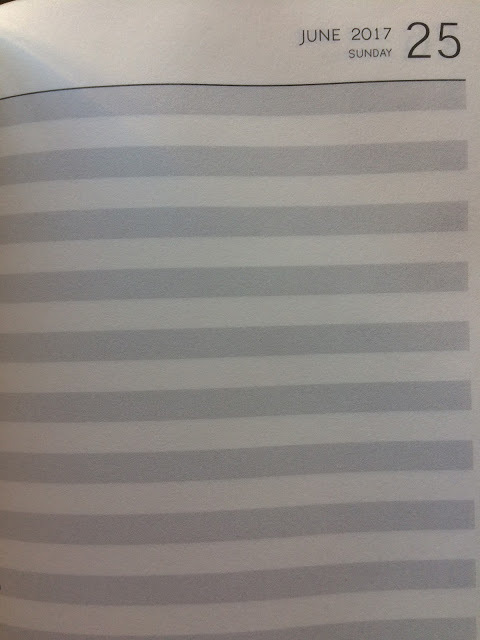 I love the softly striped pages. the paper isn’t too thick but I think I can work with it. I’ll just add clear gesso if need be. And so far it holds Sharpies with little bleeding, yay! I also love the idea of one book instead of two. Everything in its right place. 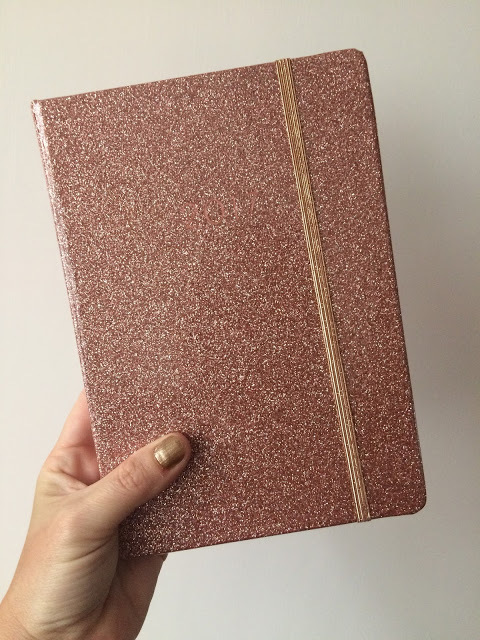 The clincher was the glitter cover of course! I have many projects going on at the same time: Get Messy, Awesome Ladies, the Zine Squad, Color Blast, collaborations with other artists, etc. I am on the Events Committee for the Canadian Club in Beijing where I organise Crafternoons (where we come together and work on our projects in real life), Crafterwork (workshops where we teach a craft to participants) and various happy hours and parties to create a sense of community for all Canadians posted here. I will also be starting a part-time 6 months contract today. All of this plus running and making notebooks for my Etsy shop. So how will I keep track of it all? 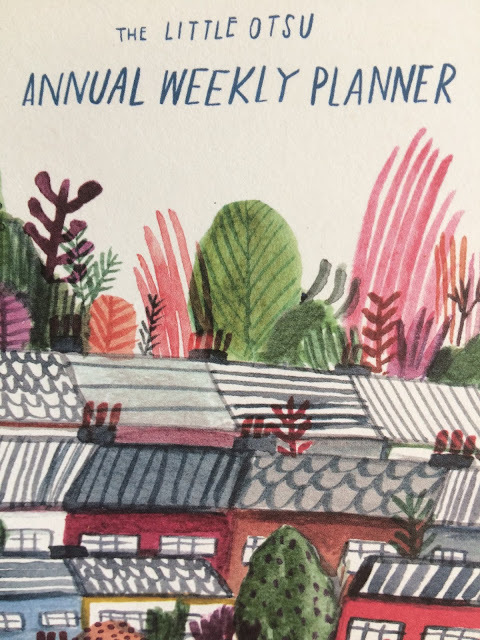 I’ll be using this great planner by Little Otsu that I bought three years ago (luckily it’s not dated!). Here is the thing about me and planners: I never decorate them. They start out all cute and curated and by the 2nd week I’m back to not having time to use it in a cute way. 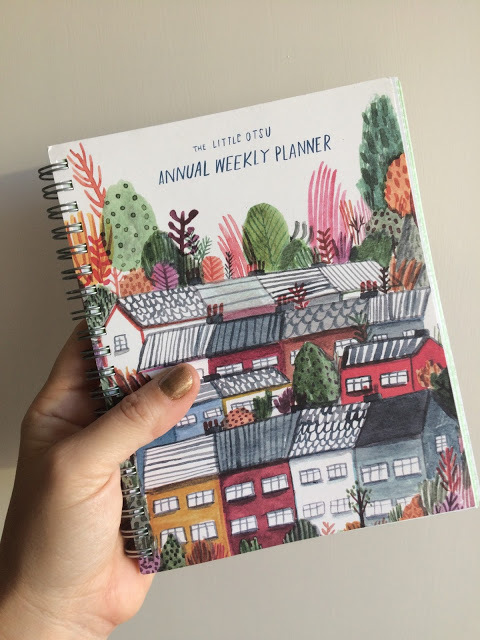 Planners are a tool, a safety net for my thoughts. 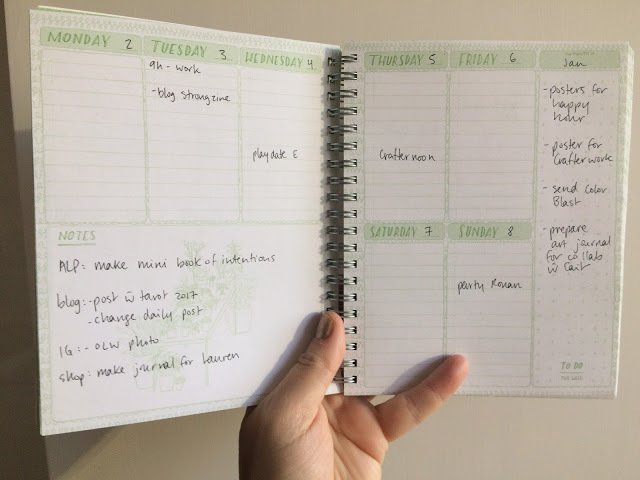 I loved the Get To Work Book but it is expensive for how I am actually using it. This planner has all I need: a place for notes, a quick to do list, the week on a two page spread and not too many doo-dahs and thingamajigs to distract me. Also, it holds my Uni-ball pen without any bleeding. WIN! This and the fact that it is pretty easy to carry around will make it a perfect tool for me. As I was pondering this year to come, my One Little Word came to me. I want to carry on with the seeds I have planted this year. I want to go forth and build on the foundations that have appeared in my life in 2016. So my word for 2017 is: Momentum. I will be creating another art journaling class, called Rituals, for release in 2018. I will continue to inspire the Get Messy community by being on the Creative Team just as I will continue to be inspired by the artists in my art tribe. I will give Awesome Ladies the strength to find and use their voice by being on the Learn and Explore teams. I will create daily and return to a deeper art journaling practice. I will carry on with projects like the Zine Squad, 30 Days of Lists and Color Blast. 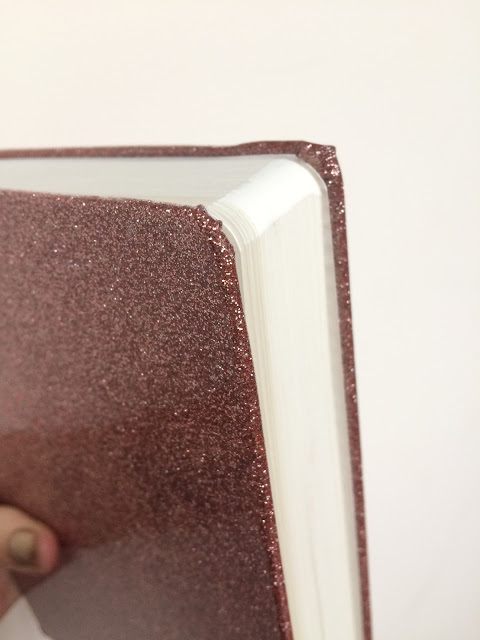 I will strive to make more journals and notebooks for my shop Vanessa’s Fancy. I will take care of my body and to feed it what it needs. I am taking real and concrete steps to achieve these goals. I love your measured approach to the year. I have chosen a word – Revive – but am not doing the OLW course, but living the word in my daily life. 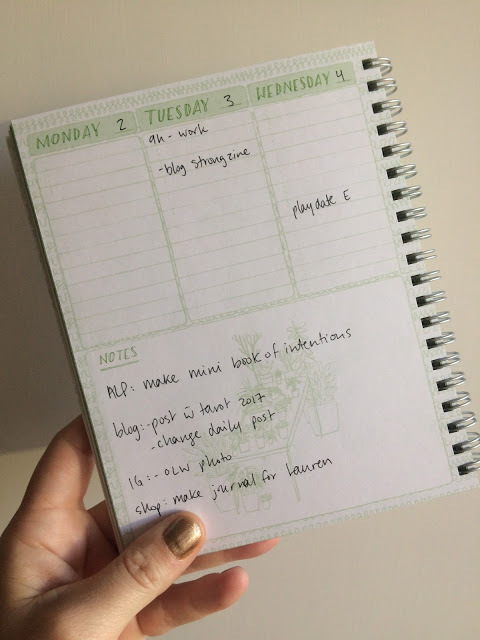 You will rock the daily project I am sure – I was very tempted to jump on that bandwagon, but thought better of it as I don't want to overcommit myself this year as I need to revive my mind, body and spirit. 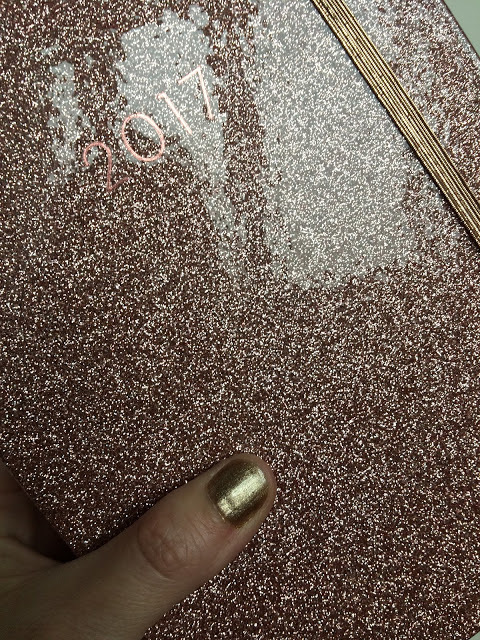 Love seeing your intentions for the year and a peek into your planner. I tried decorating planners too but it just doesn't work well for me either. I am so excited about the rituals class! I started totems yesterday, and am doing the weekly challenges for 52 portraits. Thank you for the inspiring work and structure, ha, for self-expression.